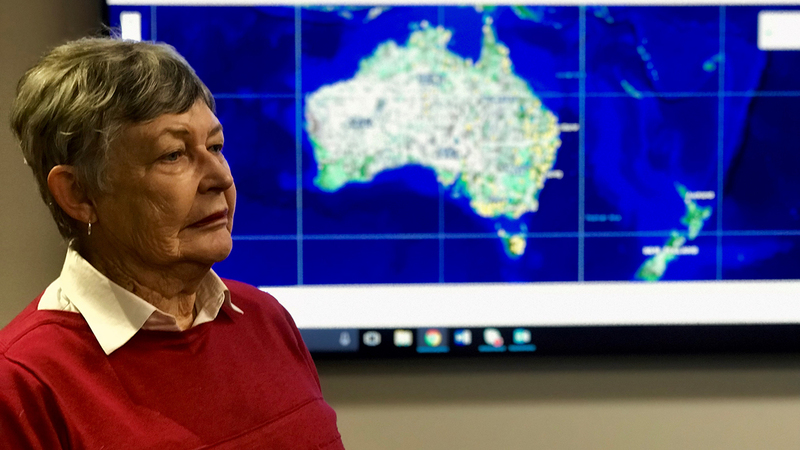 The number of Aboriginal and Torres Strait Islander massacres verified and recorded on an online digital map has risen to 240, following an influx of valuable information and evidence from regional communities around Australia. University of Newcastle research academic, Professor Lyndall Ryan, said the response from the Australian public had been overwhelmingly positive since the launch of stage one of the research project a year ago. More than 200,000 page views have been recorded since the site went live in July 2017 and thousands of comments have appeared on media articles about the site. Almost 430 comments have been lodged through the website, mostly offering information about sites not yet on the map and clarifying details about sites already incorporated. “People have been generous in offering the research team further corroborating data and information about incidents that were not yet included on the map,” Professor Ryan, a member of the University’s Centre for 21st Century Humanities and the Centre for the History of Violence, said. “The high level of community interest and engagement comes from regional Australia, where most of the incidents took place, suggesting that people in the regions really do want to know what happened. Stage one of the Colonial Frontier Massacres Map, recorded 172 incidents across Eastern Australia between 1788 and 1872. It documents the massacre site locations, details of the individual massacres and the sources corroborating evidence of the massacres. Launching today, stage two of the digital resource, which extends through to 1930, incorporates for the first time sites of frontier massacres that occurred in the Northern Territory and South Australia, along with some further incidents in Eastern Australia, with more to follow as research continues. It also includes 10 massacre sites of non-Aboriginal people. Stage 3 of the project, which will include sites in Western Australia as well as the rest of Australia from 1788-1960, requires further funding. More than 6200 people in total were killed during the 250 massacres included to date, however Professor Ryan predicted they were only halfway through researching the full extent of the violence during the colonial frontier, and it was likely the final tally of massacres would be closer to 500. “Many recent incidents, that is those in the 20th century, were reported in the press at the time only to be vigorously denied by settlers and police. “However, evidence from a wider array of sources, such as missionaries, settlers, Aboriginal and Torres Strait Islander people and police can be pieced together to produce a more coherent account of an incident. Professor Ryan said Indigenous evidence was critically important for documenting incidents that occurred in the 20th century. Stage two of the project includes source links to newspaper articles in Trove, an Australian online library database aggregator, hosted by the National Library of Australia. Technical improvements to the digital resource have also made the map easier to view and navigate, particularly on mobile devices. Professor Ryan said some communities had instigated plans to hold events or create memorials to pay tribute to lives lost during the periods of violence. The stage 2 research team includes Prof Lyndall Ryan, Dr Bill Pascoe, Dr Jennifer Debenham, Dr Mark Brown, Dr Robyn Smith, Mr Daniel Price and Mr Jack Newley. The research was funded by the Australian Government through the Australian Research Council. What is known about the massacres? Massacres of Aboriginal people were typically carried out by hunting parties of soldiers, armed settlers, mounted police and/or native police with six to 40 men in each party, averaging eight to 10 men. Tasmania (Van Diemen’s Land) 1804-1834: soldiers, police, armed settlers, shepherds and stock-keepers on foot – largely at night. Victoria (Port Phillip District) 1836-1859: mounted police forces including native police, armed settlers and stockmen on horseback – day and night. New South Wales 1794-1826: soldiers, police, armed settlers on foot – day and night. New South Wales 1827-1900: mounted police, native police, armed settlers and stockmen on horseback – day and night. Queensland 1859-1910: native police, armed settlers on horseback – day and night. South Australia 1836-1911: mounted police, armed and mounted settlers, stockmen, Aboriginal trackers- day and night. Northern Territory 1861 -1930: mounted police, armed and mounted settlers, stockmen, Aboriginal trackers – day and night. The weapons used were swords, pistols, muskets, bayonets, cannons, carbines, repeating rifles and strychnine poison. Aboriginal peoples' weapons were spears, waddies and hatchets. The research team welcomes suggestions for additions or modifications to the site, the data and the map. People can visit the website and click the contact tab, where they can provide details via a form; or they can email colonialfrontier@newcastle.edu.au and attach any relevant documents.